We keep a stern check on the payment procedures that we sternly follow and apart from this, we make a completely secured database that lists all the payments made and clients' details. Rest assured us for the payments, as we use leading technologies for the same. We are Nagpur(India) based organization, involved in providing high quality array of products at competitively low prices. 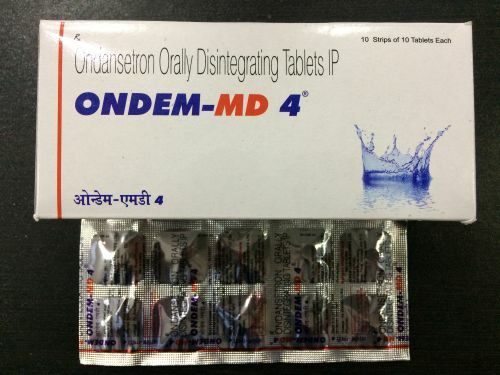 Ondem MD 4 tablets are used for preventing nausea and vomiting associated with chemotherapy, radiation treatment, or surgery.